The individual honored with officiating at a wedding ceremony is referred to as the mesader kiddushin, which literally means "the one who arranges the betrothal". Only an individual who is especially fluent in the laws of solemnizing a marriage should officiate at one, regardless of whether or not the individual has a formal semicha. In most circumstances, the custom today is to defer to the groom to appoint the rabbi who serves as the mesader kiddushin. There are a number of communities in which the mesader kiddushin dons his Shabbat clothes or a tallit when officiating. It is interesting to note that there are a number of authorities who are somewhat lenient as to who is deemed competent to perform a wedding. According to these authorities, there is no requirement for the one officiating at a wedding to be a rabbi, or even especially knowledgeable for that matter. In fact, according to this approach, it is permissible for even a layman with minimal background to officiate at a wedding ceremony where needed. This development is due to some halachic authorities distinguishing between the function of issuing rulings related to marriage and that of actually solemnizing one. While it is unanimous that the former requires a recognized scholar, the latter may not be necessarily so. Although solemnizing a wedding is a very sacred duty and should not be taken lightly, ultimately, however, executing the bare essentials of a halachic marriage is relatively simple. Common custom, however, is to ensure that only a bona fide rabbi knowledgeable in this area of halacha officiates at a wedding. Click here to read moreAlthough merely ensuring that a groom gives the bride a ring (or other object of value) in front of witnesses along with a simple declaration of intention to marry is all that is truly needed for a marriage to take effect, there are many fine details relevant before and after the wedding that, should the officiating individual overlook them, would render the entire ceremony invalid. Among these details is the obligation to ensure that the groom owns the ring and that the witnesses have met the halachic requirement to serve as such. So too, the rabbi must ensure that the bride and groom are halachically permitted to marry one another, something which is not always as simple as it seems. It would be remiss not to mention that even rabbis with the finest semichas do not have specific expertise in the laws of marriage, other than the minimal training for solemnizing one. It is also noted that the honor of officiating at weddings should remain within the domain of the local rabbi, as performing marriages is a major component of his income, which should not be taken away. This happens frequently when the bride and groom come from different communities and the visiting party brings his or her rabbi to officiate, rather than the local one. 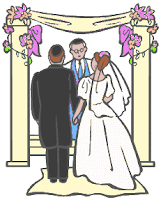 Due to this concern of unlawfully depriving a rabbi of his intended income, a number of authorities recommend that when one invites a rabbi from an outside the community to perform a wedding, one should nevertheless offer the local rabbi an honorarium as if he himself had performed the wedding. In fact, one should also offer an honorarium to the chazzan and any other officers of the synagogue who were involved in the wedding preparations. In much of Europe decrees had been made that only local rabbis were permitted to officiate at weddings. In any event, a visiting rabbi who is invited to serve as a mesader kiddushin in an area under the jurisdiction of another rabbi should first introduce himself to the local rabbi before he performs the wedding.